You sit down at a table. Someone comes over with a menu, and you peruse the paper booklet printed with names of various food items. Occasionally, they have colour pictures ⎯ a big help in choosing dishes. With much effort (the place is packed), you call the wait staff over to take your order, and they jot down your requests with a little pencil. After a painfully long wait, your food arrives, and one person has been served the wrong dish. The waiter hustles away, disgruntled, and you wait impatiently for the right dish to arrive. It takes much longer after that to call for the bill. There has to be a better way to do this. Food is a large part of Singaporeans’ lives: according to a survey conducted by BIS Shrapnel, a Sydney-based research company, the average Singaporean spends $1,900 a year at hawker centres, restaurants, and cafés. It makes sense that we would want the process of dining out to be a much smoother one. 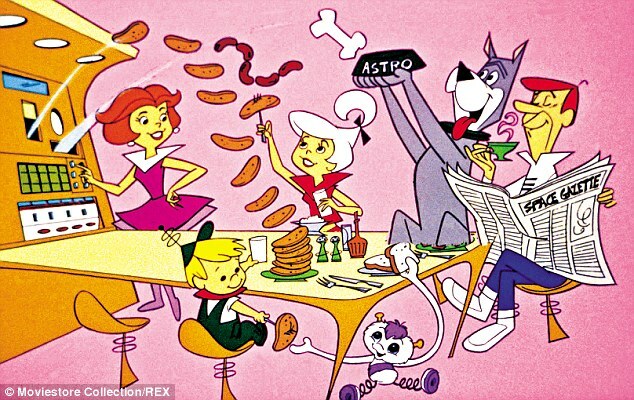 Granted, this isn’t a Jetsonian universe, where food is generated from voice-activated screens in a robot’s chest, or where floating trays make pleasant “bloop bloop” sounds as they soar to your table. But the F&B industry has changed a lot since, well, a few years ago. Everything ⎯ from menus, payment systems, to wait staff ⎯ is being digitised. For most of the F&B industry, the focus has always been on improving the process, or the supply chain. This includes every aspect from the moment a customer joins a queue, to the time the customer is served and leaves the store. The biggest challenges that F&B outlets face ⎯ whether they serve seated guests, have self-serving counters, or run a delivery service ⎯ is in identifying bottlenecks in the supply chain. But where are the bottlenecks? From the first scenario, you can already see the many challenges that the F&B industry faces. Since it is heavily dependent on service staff, it is naturally exposed to the constraints that service staff present: processing times can be quite long depending on their abilities, and there is always a possibility of error. The lack of manpower is an issue large enough to cause problems for major restaurants chains. 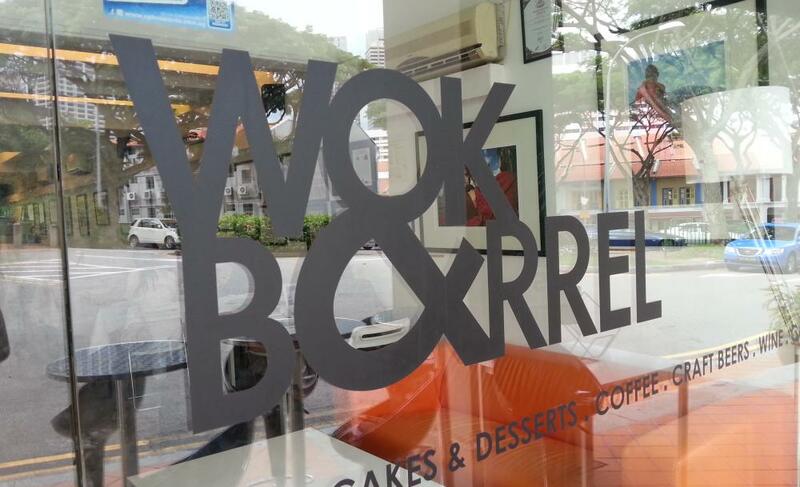 As reported by Colliers International, Singapore-based Restaurant Wok & Barrel closed its doors in March 2013, citing a shortage of manpower as the main reason. TungLok Group (which runs a chain of mostly Chinese restaurants) also had to close some of their eateries because of the manpower crunch, and will not be opening any new restaurants in Singapore for a while. In a report by The Straits Times in 2014, almost half of the 369 cafés, coffee houses and snack bars that registered in 2011 have since closed down. While an obvious solution to this problem is to increase wages to attract more manpower, implementing such solutions are easier said than done. High rental costs are already causing restaurants to struggle to stay afloat, leading to a battle to cut costs: from paying a sad wage to their staff, increasing prices of food, to cutting corners when it comes to service, quality of food and experience. With the struggles faced with regard to manpower, it makes sense that the main concern in Singapore’s F&B industry is to reduce the number of service staff needed to run a business. And with this being a pressing concern, it is not surprising that many entrepreneurs have stepped up to try and solve this problem. The first advancement to hit the F&B industry was that of e-menus. Tablets, often iPads, started showing up at F&B outlets. It was an easy change to process: instead of little booklets that often deteriorated over time ⎯ whether due to food spills or manhandling ⎯ tablets made more sense and looked better. One of the leading eMenu service providers, TabSquare, provides digital solutions for several types of F&B outlets. They provide services from tablet-based food ordering to billing and payment services, and even self-ordering and payment kiosks — perfect for F&B establishments ranging from higher-end restaurants to fast food outlets. It’s not difficult to understand why restaurants would prefer using TabSquare: it doesn’t ask for any upfront investment — all hardware and software can be rented. It also speeds up the ordering process significantly, since orders are received directly in the kitchen. The in-built ordering system further helps to decrease errors made in ordering, and even takes the fuss straight out of payments, leaving service staff free to focus on providing quick and quality service. Customers are happier, and F&B owners are more focused on the task at hand. Since its inception, TabSquare has signed up 100+ clients in Singapore and processed 500,000 orders in volume worth over SGD 10 million in value through its systems. And its results are evident: according to TabSquare, wait times have been reduced by up to 18%, and restaurants are seeing higher revenues of up to 10% with higher average bill values, higher footfalls, and lower labour costs, with reduction in staff of up to 30%. There is also lower wastage due to a lower probability of error in food ordering, and better customer behavior. But while it is obvious that self-service in ordering and payment increases efficiency in F&B outlets, eMenus also have the added bonus of being able to upsell products. Promotions are more easily accessible. Gordon Ramsay’s restaurants, for example, are able to recommend wine to pair with a chosen dish via a tablet app. 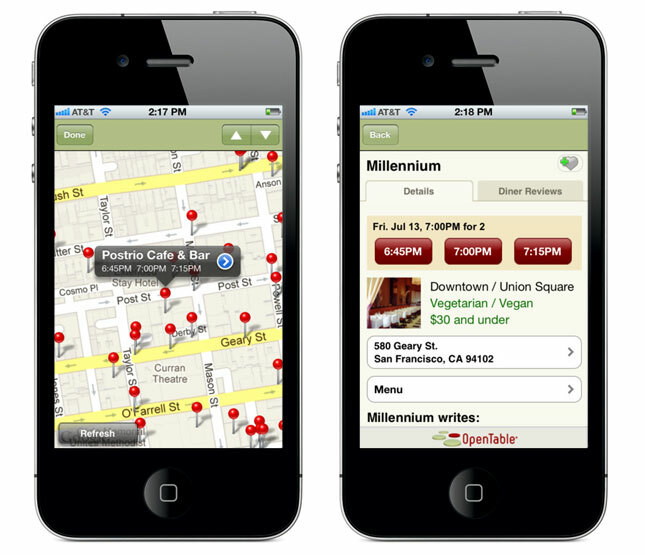 And with a more brilliant and accessible look, eMenu systems available to restaurants claim to boost sales by 10-15%. Ticktok, which started out as a queueing system, has expanded itself into what is now basically a data centre for restaurants. It helps them maximise their business by providing services such as identifying who key customers are, which customers have been at their seat for too long, and where to push their promotions to. They boast increased productivity in their partner restaurants by 30%, and are expected to serve more than 1.2 million diners by 2015. Oddle, an order management platform that offers a highly customisable branded page for customers to order food from restaurants, is poised to overtake larger businesses like FoodPanda with a smaller pricetag. Instead of using a transaction fee model, Oddle charges a flat subscription fee per outlet — much more affordable for a struggling F&B industry looking to expand. According to Tech In Asia, are currently partnered with 350 outlets from 200 merchants in Asia, including Paul Bakery and The Soup Spoon. In the past year, they’ve recorded two million transactions. These startups are a great representation of how Singapore is contributing to, and disrupting, the ever-growing F&B industry — budding startups like Open Table, for example, are taking the lead from Silicon Valley and expanding across borders to Canada, France, Germany, Japan, Mexico and the United Kingdom. It boasts a comprehensive service — on top of POS (Point of Sale) management, it also includes table, guest, and reservation management, as well as advanced analytics on how to improve efficiency in the restaurant. One of their clients, Hilton, has notably said that it “allows our restaurants to capture more information about our guests than they will ever need”. Currently, it is said to seat 15 million diners a month in 31,000 upscale restaurants, and as of last month, it has also ventured into mobile payments, with its new app Pay with OpenTable allowing diners to be charged digitally from the credit card information they have saved in the app. This comes on the back of the rise of mobile payments, with leaders like Apple Pay and Google Wallet growing steadily in the US. According to mobile payment summit CONNECT 2014 and mobile payment startup Isis, mobile payment users spend twice as much on average through digital channels. There is still a lag in adoption of mobile payments in restaurants, and it is hardly seen in countries like Singapore. While apps like DBS’s PayLah and Singtel’s Dash are introducing Singaporeans to the concept of paying without plastic or paper, it’s still relatively unseen in the F&B industry. But if Singaporeans need an example of the success of mobile payments, just turn to the popular Starbucks payment system: while Singaporeans have the Starbucks Card, the Starbucks app has been called the most successful mobile payment system in the US. Coupled with an attractive rewards system and a sturdy marketing platform, Starbucks has managed to incentivise fans from around the world to get on board their mobile payments system. In 2014, Starbucks even announced that 11% of its sales volume came through its app. Frunk, on the other hand, uses iBeacon technology to allow customers to make their choices even before they are seated at a restaurant. 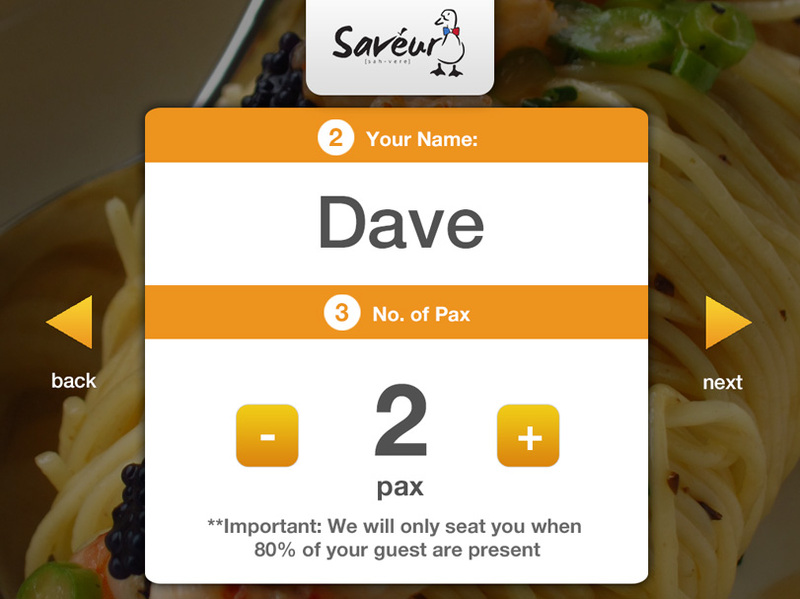 Once they’re seated, diners can simply tap their smartphones on a sticker to place their orders. And with a future that sees a smartphone in each customer’s hands, the iBeacon technology is looking to be a much more affordable option than having a tablet at every table. The sudden entrance of F&B technologies is producing astounding work, providing diverse and creative solutions to problems that have been around for a while now. Without a clear market leader, though, the success of these technologies boils down largely to marketing and publicity efforts. Which was definitely won by a group of large drone waiters. The Drone Problem: How much is too much tech? 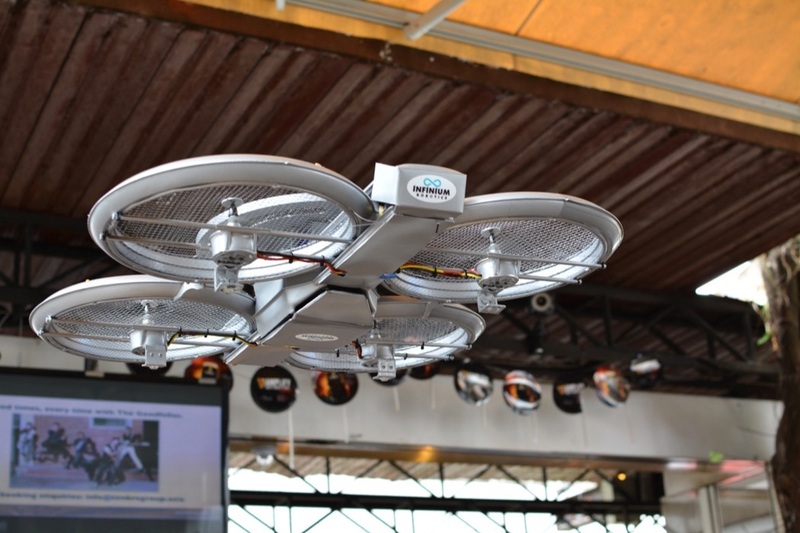 Timbre Group has been testing the use of drone waiters in their restaurants. 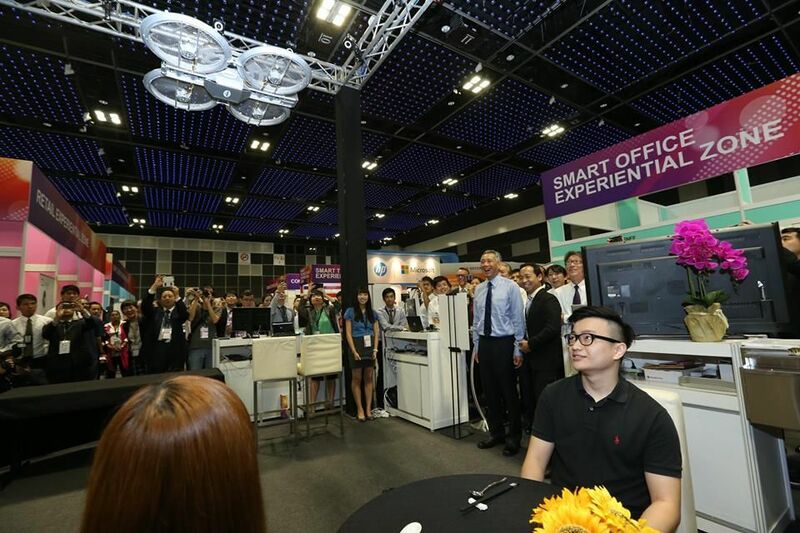 In a tricky experiment led by local tech company Infinium Robotics, the drones first made their debut at an exhibition during Singapore’s National Productivity Month, where they served some chicken wings to PM Lee Hsien Loong. Placed alongside the Frunks and Oddles of the F&B industry, the reaction to robot drones was definitely the strongest. 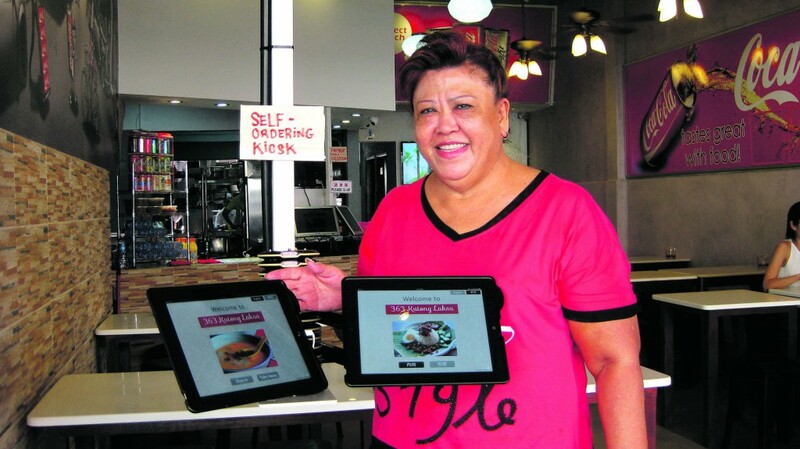 It was the first time Singaporeans started to question: how much is too much tech in F&B? After all, with their whirling blades creating gusts of wind as they inch through the air, drones are a noisy and clunky introduction to the restaurant and bar known for its live music and relaxing atmosphere. Edward Chia, CEO of Timbre Group, acknowledges this, and told IBTimes UK that safety is a big concern for them. But with so much uncertainty, do the costs of implementing this technology outweigh the benefits? In the short run, there is no guarantee that the costs of testing technology will be repaid, but there is a large probability that the hype and excitement over this new prototype will be enough to make up for it. The fact that people know and talk about it suggests that it will pay off ⎯ as long as that chatter and curiosity translates into pizzas or beers being purchased. In the long run, however, the benefit of having drone waiters is definitely not as clear. Technology, after all, is a fast moving creature, and a better, more effective substitute may soon emerge. R&D is the name of the game, and everyone comes out a winner. If a humble iPad with a digital menu can offer up to 30% more revenue, what potential lies in a clunky drone waiter prototype? As one Redditor said wisely in response to skepticism towards drone waiters: “If we always have negative people going “pfft, that’s a gimmick”, new ideas and concepts will never take off.” Literally. What is tech’s place in the F&B Industry? With the diversity present in the F&B industry ⎯ from cafés to pubs, and from hawker stalls to high-end restaurants ⎯ it is difficult to predict what the inclusion of high-tech tools across the board could result in. But from what we’re seeing in mid-range cafés, bars and restaurants, there is lots of potential for growth. That said, seeing technology taking over jobs that used to belong to people has thrown up the question of what value human interaction has in the F&B industry. In the hawker culture, its value is still high. 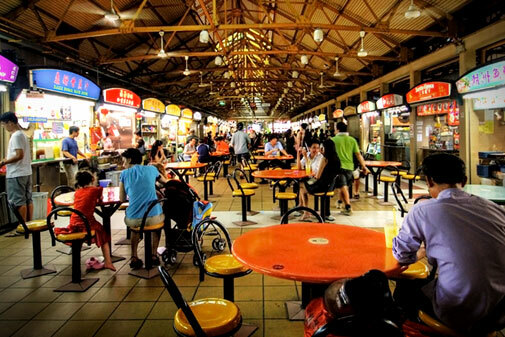 There remains a strong cultural aspect of Singapore’s food lifestyle, and amidst skepticism and uncertainty, the idea of robots running our traditional hawker centres could easily be seen as an outrage or blasphemy. “If you look at the thousands of years that consumers have been served alcohol and food by people, it’s hard to imagine that things will change that quickly,” said Darren Tristano, a food industry expert with research firm Technomic, to CNN. But while one part of Singapore’s food culture resists the F&B digital revolution, the other half is plodding on. 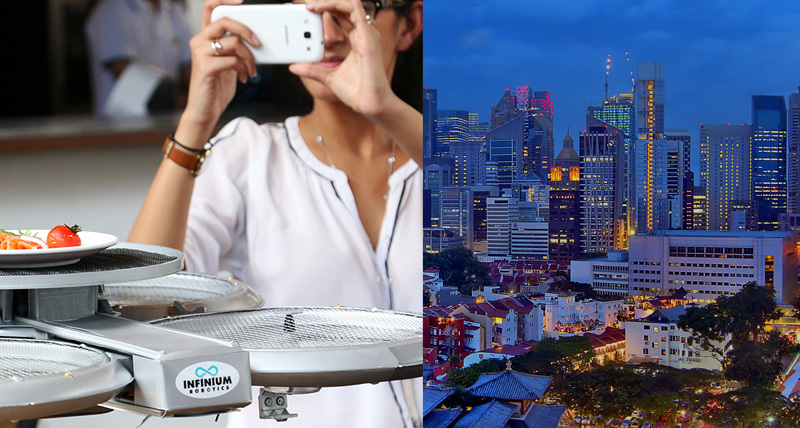 Drone waiters are perhaps Singapore’s most interesting introduction to the possibilities that lie ahead in the future of food and beverage, but it is only the tip of the iceberg, especially when you compare it with advancements being explored elsewhere. 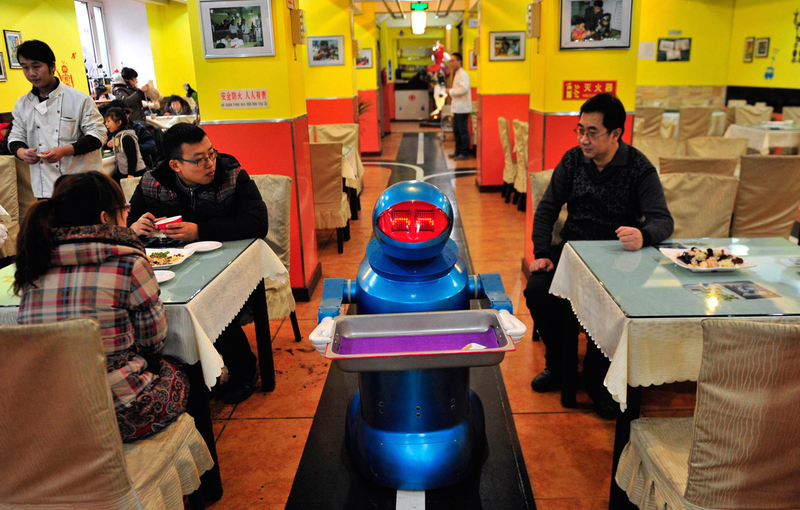 A restaurant in Harbin, China, runs with robots cooking and serving food to customers, with restaurant staff primarily sitting in the computer room. In Bangkok, Thailand, Hajime Robot Restaurant ‘employs’ robot waitstaff to serve customers through windows, and they are even designed to have expressions and dance to music for customers’ entertainment. Inamo restaurant in London’s SoHo has a virtual table that allows customers to control every step of their meal through a touch-screen, from watching the chef prepare their meal, to paying for the meal and calling a cab after the meal is over. 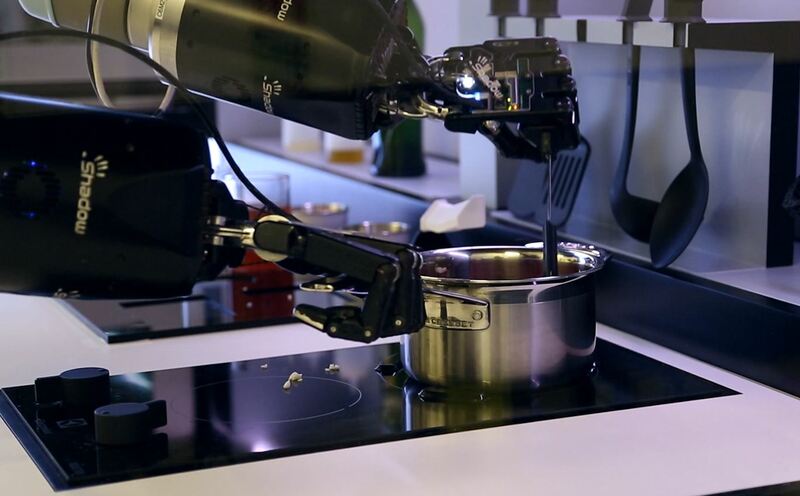 Robotic arms used by NASA are being taught how to cook Michelin-starred food through smartphones. So what does a truly digital restaurant look like? There are many interpretations, but in an industry where the bottleneck lies in its people, advance robotics is poised to be its future, promising 100% attendance, ensured food safety, and better attitudes. Mobile payment is on the rise, but its slow adoption is a clear example of how good things take time. Tech’s place in our restaurants, cafés, and even hawker centres is uncertain, but what is clear is that companies like Oddle and TabSquare are the F&B industry’s stepping stones to something much bigger. This article is part of the”Old VS New” series done in collaboration with DBS BusinessClass App.